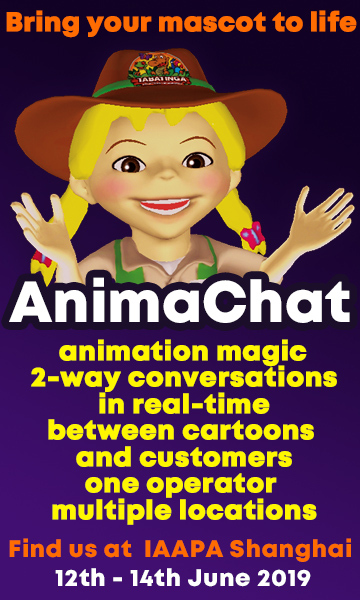 April Fool’s Day, which falls on April 1 every year, is now dedicated almost entirely to fake press releases and news – and the attractions industry is certainly not above such tomfoolery. This year, we’ve rounded up our favourites, featuring Brexit pranks, space tourism hoaxes, an Ibsen-themed theme park, and Kanye West’s purchase of Dollywood. Pigeon Forge Guide pranked its readers with a fake press release claiming that rapper Kanye West had purchased Dollywood Park in Tennessee. The false press release claimed that the theme park in Pigeon Forge would transition from Dollywood to Yeezywood in the spring of 2020. Dollywood’s Splash Country waterpark would be rebranded as Ye’s Splash Pad, while Dolly’s Closet, a fashion boutique inspired by Dolly Parton’s style, would be transformed into Kim’s Kloset – after Ye’s wife Kim Kardashian West. Europa-Park played a Brexit-themed trick on April Fool’s, releasing a tweet claiming that the park will get rid of its England area. The Guardian reported that the appointment of a ‘healing tsar’ – “a unifying figure to promote a feeling of national togetherness” – during Brexit was put forward by a secret working group drawn from leading institutions. Favourites for the role were, according to the publication, Bob Geldof, Dollar’s David Van Day, and Chumbawamba’s Alice Nutter. The winning candidate would make their debut at the Healing Field at Glastonbury festival in June. Ryanair unveiled ambitious plans to fly tourists to space by 2035, The Telegraph reported. According to the spoof report, Ryanair plans to join the likes of Virgin Galactic and SpaceX in space tourism. The company apparently announced the creation of a development fund that will let it battle entrepreneurs such as Richard Branson and Elon Musk for “the next great opportunity in travel”. Taking a typical “no frills” approach, passengers will have to pay an additional charge to hire a space-suit. 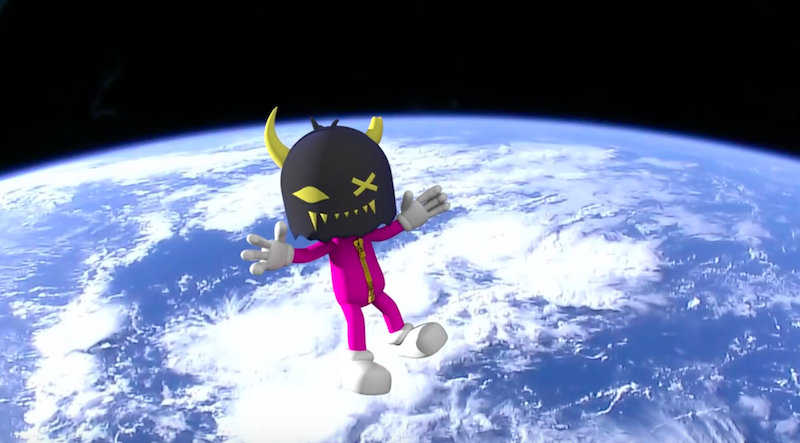 The Meow Wolf team attempted to trick readers into believing that a permanent art installation and space tourist destination would be placed within “Low Earth Orbit” in 2030. Meow Wolf LEO (Low Earth Orbit), a habitable artificial satellite, would be the world’s most accessible and affordable space tourism opportunity to date. The company even provided a LEO registration form. American Theatre wrote a report claiming that the Arts Council Norway unveiled ambitious plans for Ibsen Verden (Ibsen World), a 25-acre theme park celebrating the dramatist. Attractions would include a house haunted by guilt, a slamming-door exhibit, and Little Eyolf’s Rat Race. The Field Museum tweeted to announce that “unprecedented” dinosaur fossils had been found underneath a building just off Michigan Avenue. “Only time will tell what type of individual this is, but the bones bear similarities to a large carnivore,” the Field tweeted. Wales Online announced a 100mph zipline linking Wales and England on top of the Severn Bridge. The report claimed that an epic new adventure park is due to open at the M48 crossing next year, allowing thrill-seekers to glide from Cheptow to Gloucestershire over the River Severn at speeds of up to 100mph. 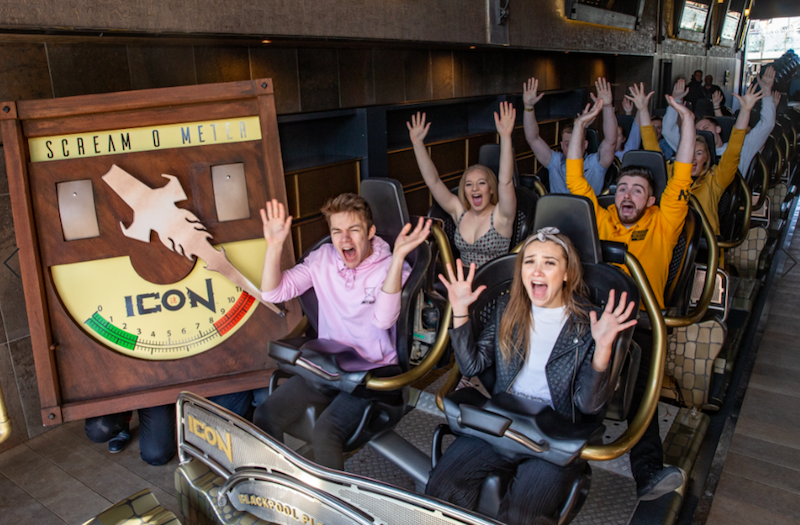 Blackpool Pleasure Beach sent out a press release for April Fool’s, announcing plans for an £8 million investment on its latest addition to the park, the UK’s first double launch rollercoaster, ICON. The release read: “Utilising state-of-the-art technology, special monitors will record the intensity of riders’ euphoric cries, sending pressure waves direct to the engine management system.